Sorrento is a beautiful coastal town on the Amalfi Coast with stunning views facing the Bay of Naples on the Sorrentine Peninsula. The coastline is stunning with soaring cliffs and small towns along the turquoise seafront. 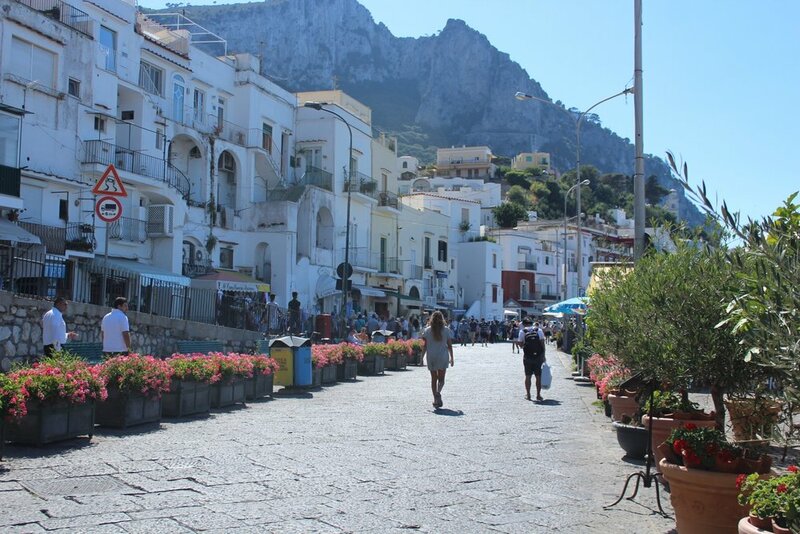 On our first day we took a day trip to Capri from Sorrento. 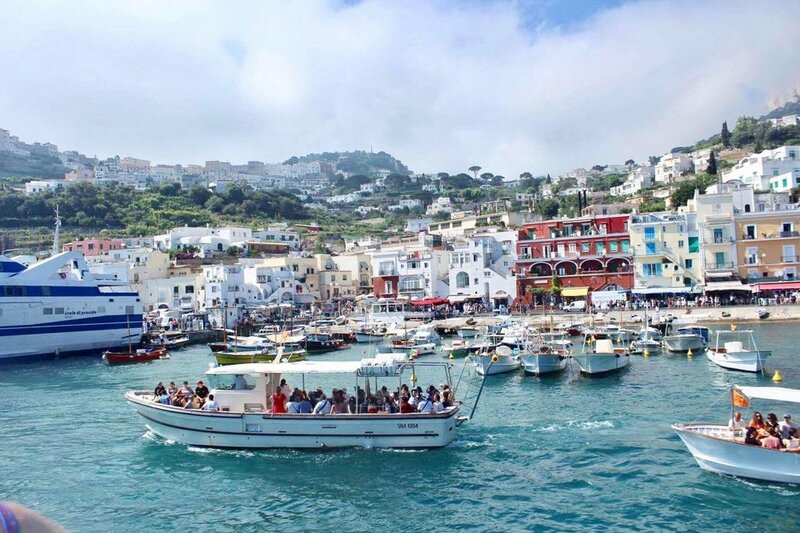 Ferries from Sorrento connect Italy with The Gulf of Napoli with crossings available to Naples, Capri, Amalfi and Positano and the ferries depart daily and frequently. The ferry to Capri approached from the South side, passing Capri’s most iconic sight – the dramatic Faragloni - three towering rock formations in the middle of the water. No photograph can do this sight justice. It is absolutely spectacular. We spent the afternoon walking around Capri town and then relaxing on the beach. In the evening we came back to Sorrento. We walked around Piazza Tasso, which is Sorrento’s main square and then ate dinner at Pizzeria da Gigaino. This restaurant is tucked away on the streets behind the Piazza Tasso. It is a quaint spot serving up traditional authentic Italian food. I had the best pasta I have ever eaten - I had the linguine seafood, prawns and cherry tomatoes. It was cooked to perfection. The pasta was so fresh and tasted like it had just been made moments before it was served. After dinner we had gelato at Raki. I had the dark chocolate gelato, which was heavenly. I would go as far to say that this place serves the best gelato in Sorrento. 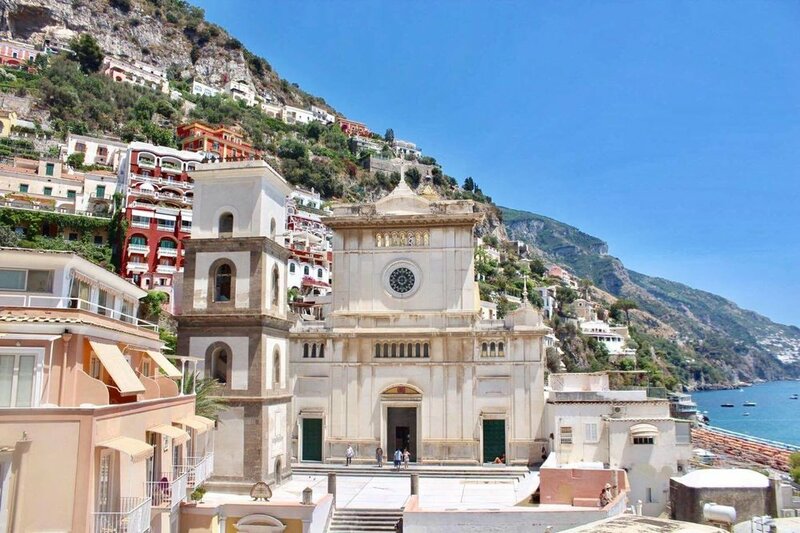 On our second day we took a day trip to Positano. As the ferry docked into the harbour, the picturesque pastel- coloured landscape blew me away. This colourful village is a popular holiday destination with a pebble seafront. The town has narrow streets in the area behind the beach with boutiques, cafes, gelatos and restaurants. We stumbled across the most stunning lunch location. We ate at Lo Guarracino – a gorgeous pizzeria with a terrace overlooking the sea. I had the vegetable pizza, which was delicious. On the third day we visited Pompeii. We took the Circumvesuviana train, which runs from Sorrento to Naples and its about 30 minutes on this train to Pompeii. We booked a guided tour of Pompeii, which took us to all the highlights of the city. The most memorable part about visiting Pompeii is the scale of the ruins – its huge! We walked around the archaeological site for hours, imagining what 79 AD Pompeii would have been like before the catastrophic eruption of Mount Vesuvius. In the evening we had dinner at Ristorante L’abate, in Sorrento. I had the spaghetti with clams – each mouthful was an explosion of taste in my mouth and I didn’t want it to end. On the last day we went back to Capri and took a boat tour to the Blue Grotto. A luminous blue illuminates the inside of the Grotto. However we had to queue for over an hour whilst sitting in our boat. If you get seasickness, it’s not worth it! There is so much to cover on the Amalfi Coast and in four days we only saw a glimpse of it whilst still managing to cover plenty of ground. I would love to go back to Positano, as it was my favourite and visit some of the other towns along the coast such as Ravello.